Celebrate the season with a new way to stoke the fire in your wood stove. 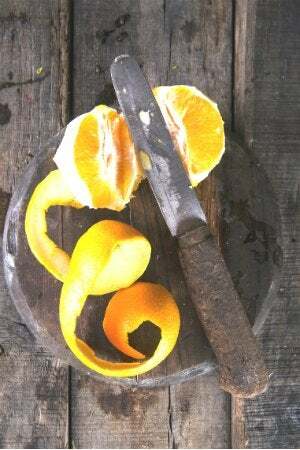 A handful of orange peels instead of your typical kindling will create a cozy home that smells citrusy and fresh. The fall season has been mild this year, but chilly temperatures are right around the corner, especially with the official start of winter on December 22. What better way is there to brave the winter temperatures than to park yourself beside the fire? Sure, you’ve probably stocked up on firewood (and maybe even chopped your own), but just in case you’re running low on kindling, we’ve found reason to reconsider how you stoke the flame in that wood stove or fireplace. 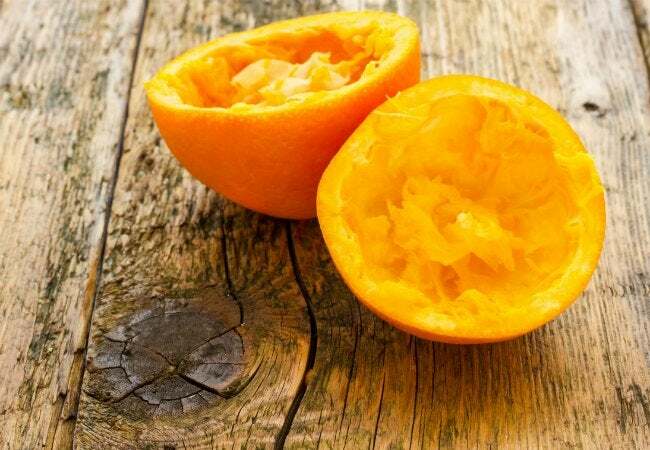 For this aromatic substitute, all that’s required is a love of citrus—in particular, that of delicious, vitamin C-packed oranges. Here’s what you do: The next time you’re at the grocery store stocking up on your daily dose of fruit and vegetables, make sure to drop some extra oranges into your cart. Then, when you’re looking ahead to a weekend in front of the fireplace, simply remove the peels from the oranges (you can snack on the slices) and set them out uncovered on a sheet pan or cooling rack for 24 to 48 hours to dry them out. When they’re ready two days later, mix these scraps in with your kindling rather than old newspaper to ensure you get a roaring flame. The oil in the skin of the orange actually fuels the fire. Even better, it won’t release any chemicals as might be found in a wad of newspaper—just their fresh, citrusy smell—effectively keeping your chimney cleaner. Now that sounds like a win-win-win scenario, if we had ever heard one.